Gov. Cuomo said the federal government "should be ashamed" over its handling of the crisis in Puerto Rico following Hurricane Maria, which struck the island in September. Gov. Andrew Cuomo says 1,000 water filtration systems will be distributed to hurricane-battered Puerto Rico though a $1 million privately funded New York initiative. The Democratic governor made a quick trip to Puerto Rico on Saturday, his third visit since Hurricane Maria struck in September. While there, Cuomo called on Congress to fund Puerto Rico's $94.4 billion recovery plan, saying the island faces a long road to recovery. The water systems New York is sending can filter 12 liters per hour, enough water for 75 to 100 people per day. 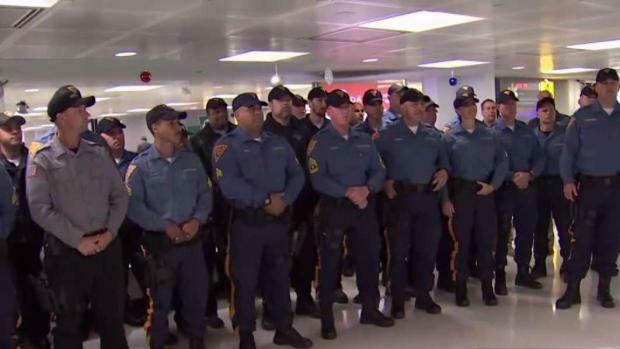 Nearly 50 troopers were deployed to Puerto Rico in the aftermath of Hurricane Maria in September. 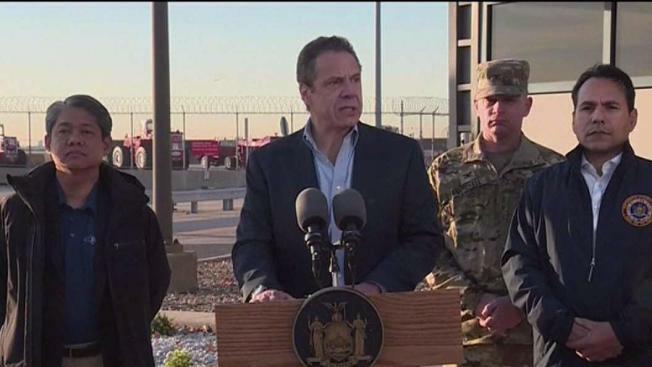 Cuomo said New York also has delivered supplies including 2.1 million bottles of water and 1.6 million diapers to Puerto Rico. The state has sent hundreds of utility employees and National Guard personnel to help with the recovery.